Many second grade classrooms at my school are finishing up their unit on geometry. The classrooms have been reviewing math vocabulary in preparation for an upcoming math task activity. While looking for ways to review math terms I came across the word augmented reality (AR). For a few months I’ve heard the term AR being used sparingly at Edcamps and through different Twitter chats. I decided to do a bit of research and thought it might be useful to use in the classroom. I’m finding that students are becoming more familiar with using QR codes, so I thought this might be an extension to that concept. While taking a look at my Tweetdeck columns I came across a few different Tweets by Erin and Todd. Erin and Todd’s Tweets about AR peaked my interest. It seems that both were using AR in their own elementary classrooms and having success. Erin used the app Aurasma in her own classroom and has some great resources (1)(2) for AR beginners. After reviewing a few of of Erin’s resources I decided to create an Aurasma account. It took a bit of practice, but I ended up creating a few different Auras. A colleague and I started to think of different methods to combine the geometry unit and AR. I ended up using the app Tellagami to record videos with different characters. 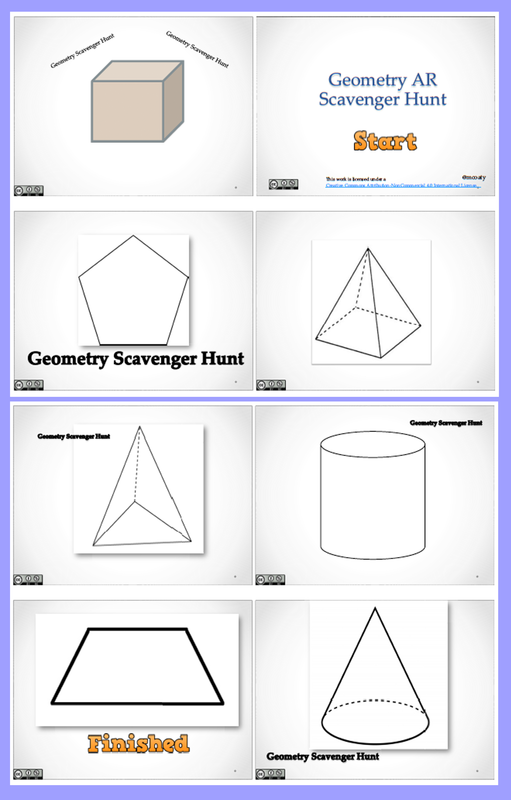 Each character represented a specific geometric shape and guided students to the next shape. The shape cards were placed all over the classroom. Students scanned the shape cards and worked in groups to find the next shape. All the auras are public so feel free to use them for your own classroom by clicking here. You will need to register and follow sl math replacement (the icon is a cube) to access the auras. 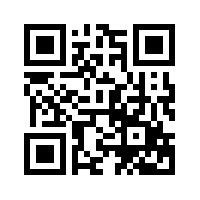 You can follow my channel by scanning the QR code below. You can preview the auras by just scanning the image right from your computer screen. If it works for you, print out each card and then place them around your classroom. The entire activity took about 40 minutes and it seemed to be a worthwhile learning activity. It was great to see students describing the next shape by using the words sides, faces, edges, closed figure, vertices and polygon. Afterwards, students started asking questions about how they could use AR in other content areas. I’m thinking of even having the students create their own for a school open house occasion. 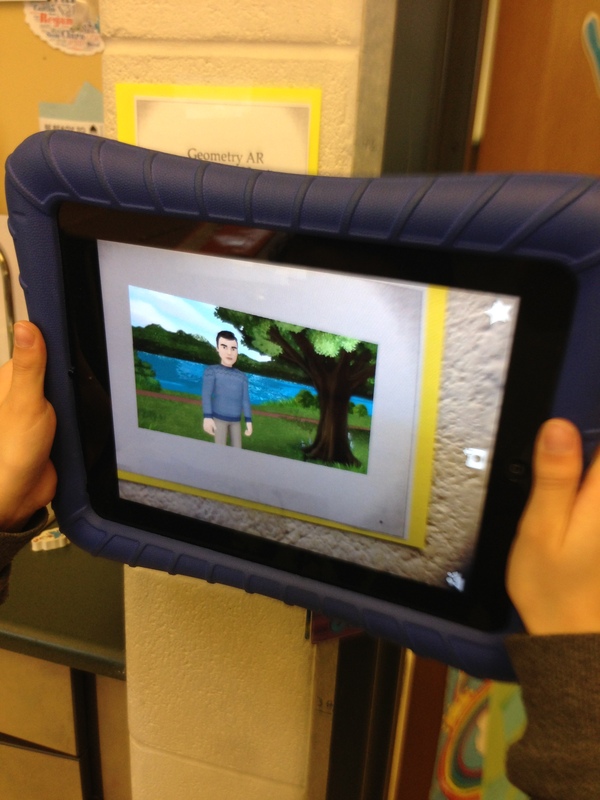 How do you use AR in the classroom?